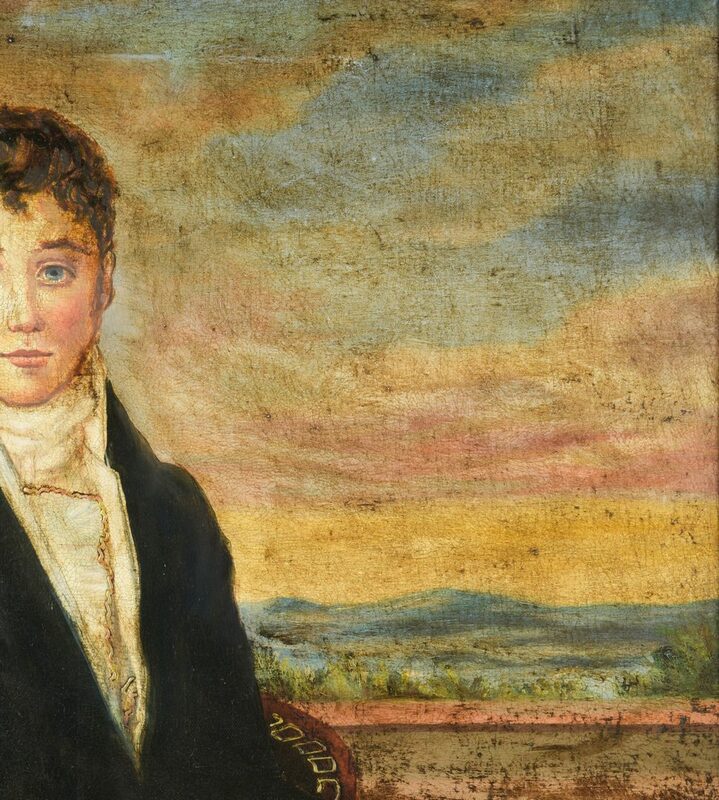 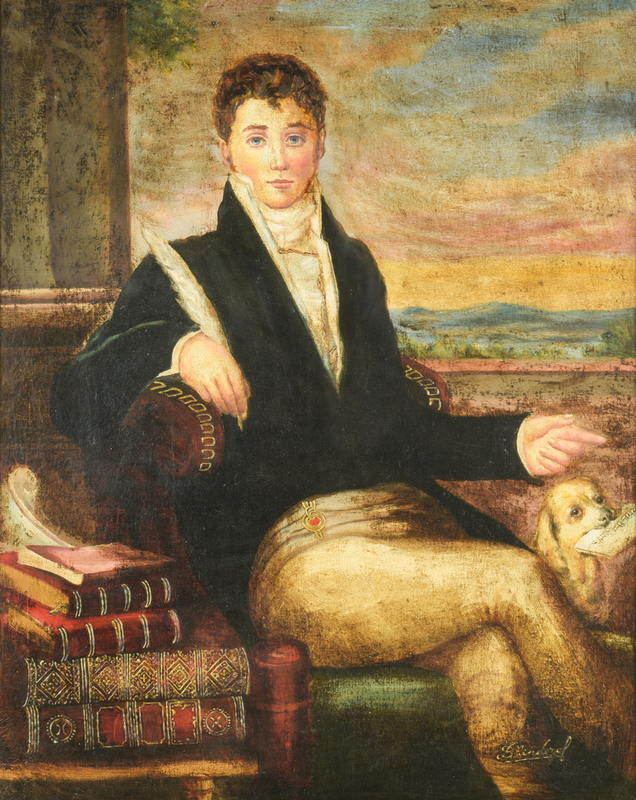 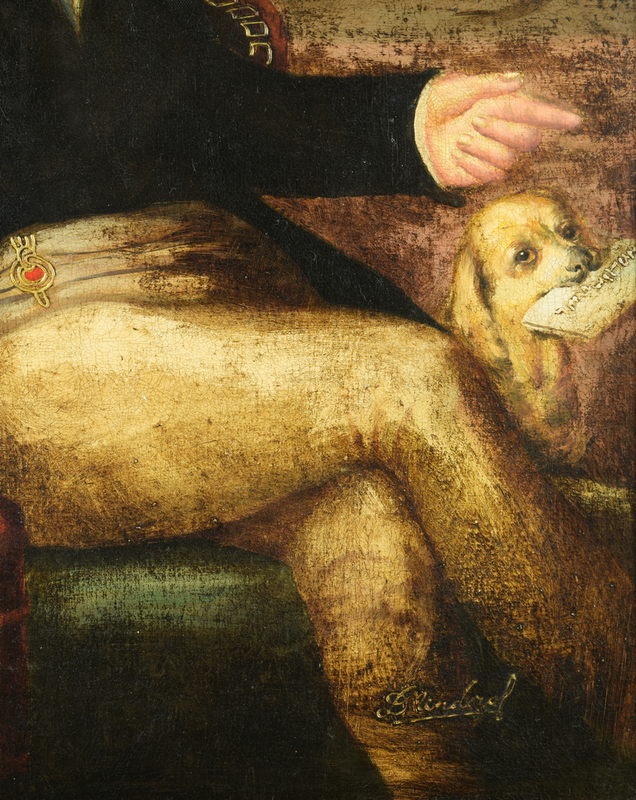 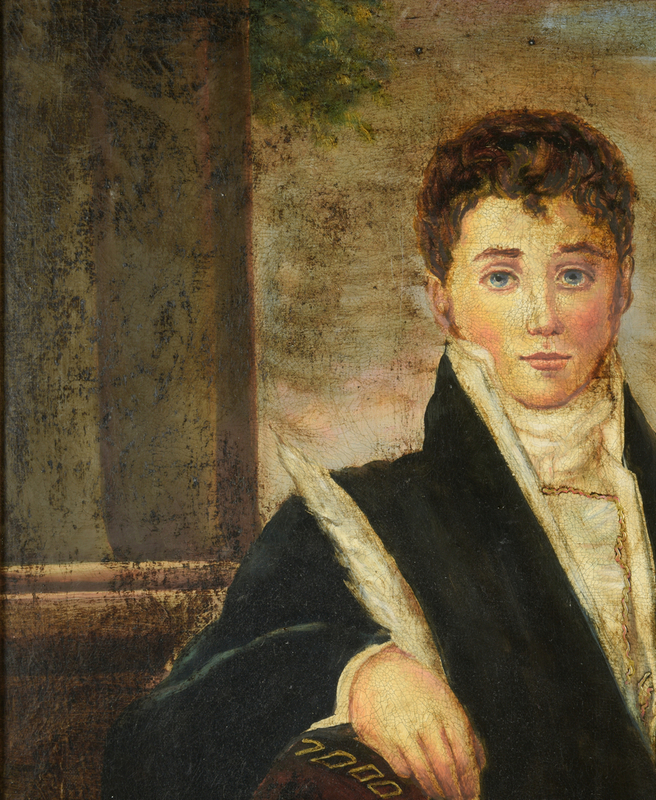 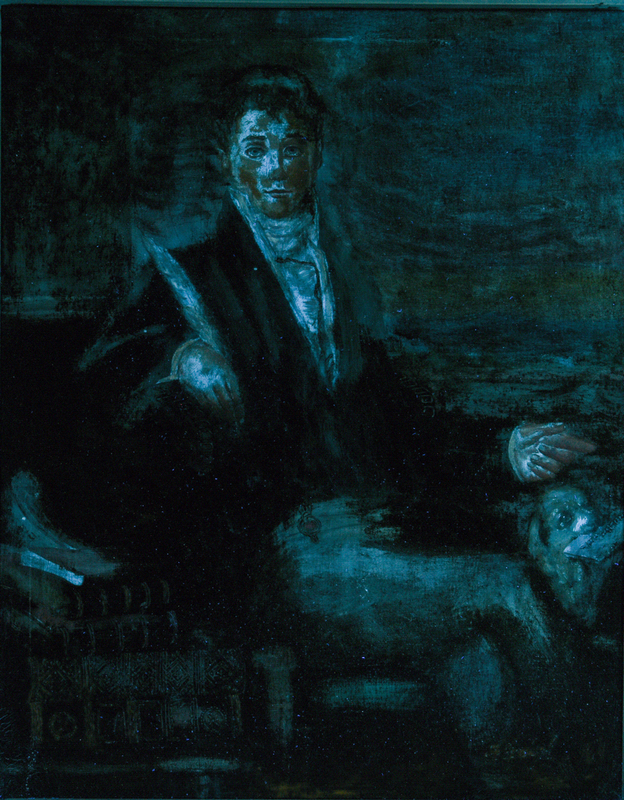 Diana Mendoza (Peru, 20th century) oil on canvas depicting a seated gentleman attired in late 18th/early 19th century costume with a dog to his left before the setting sun. 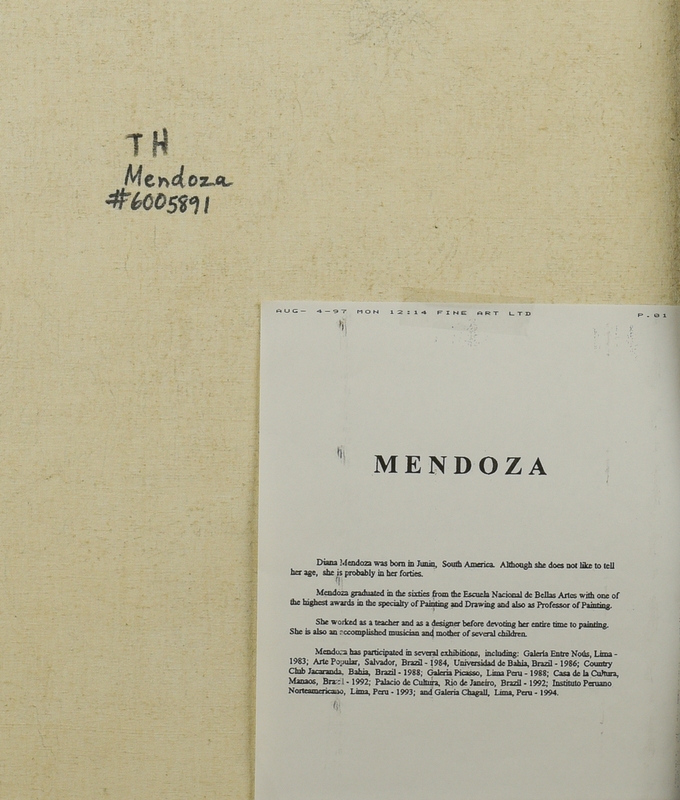 Signed "D Mendoza" lower right. 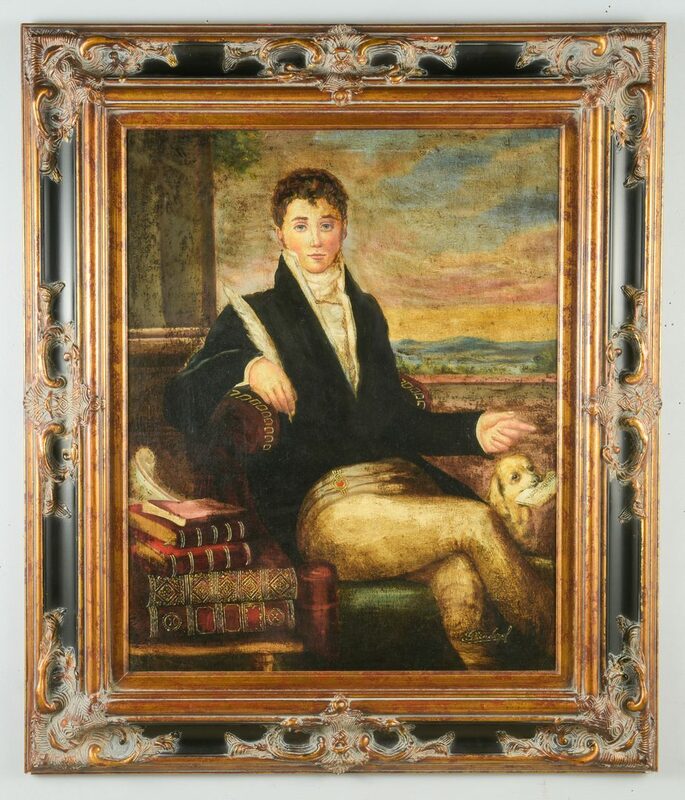 Housed in a Spanish style frame. 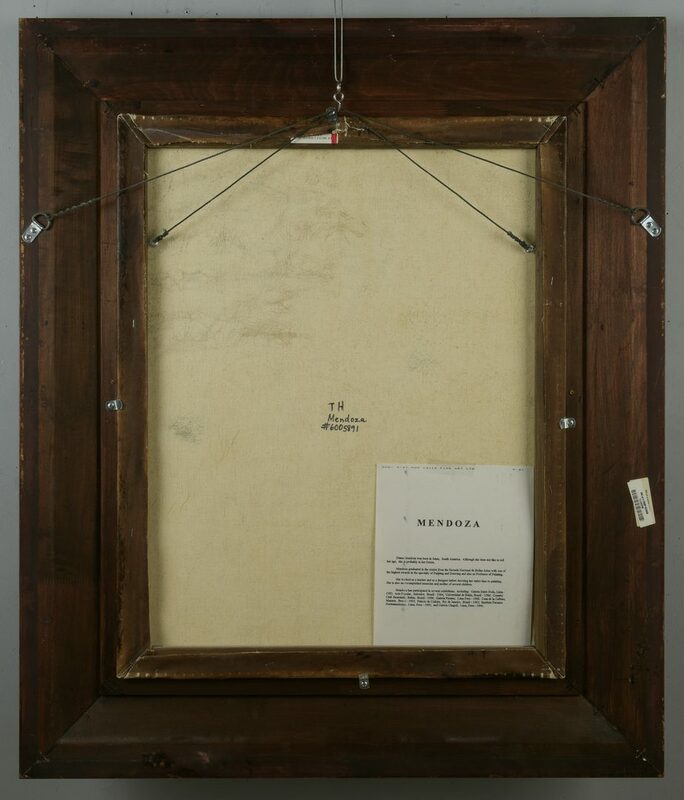 Sight – 29" H x 23 1/8" W. Framed – 40 1/2" H x 34 1/2" W. Late 20th century. 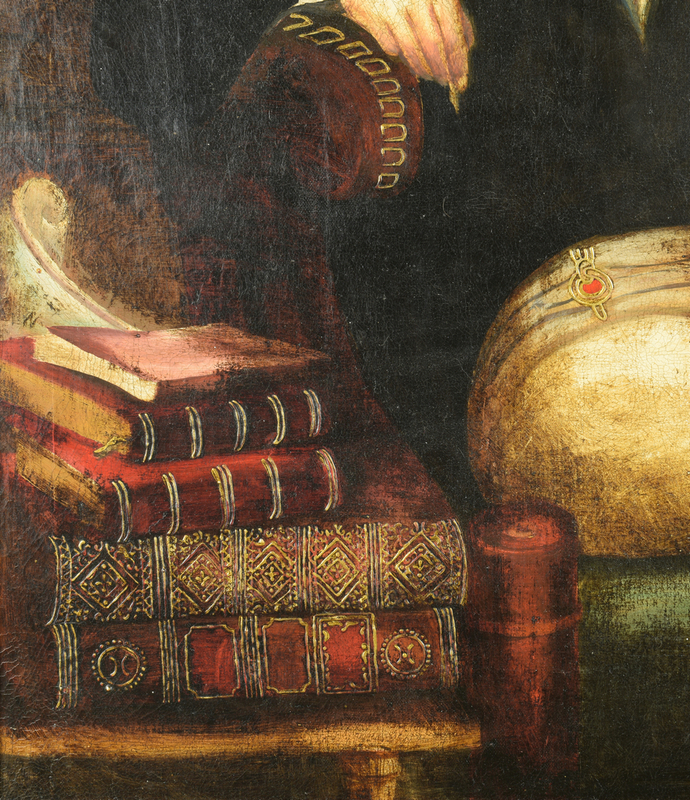 Provenance: Private collection, Knoxville, TN. CONDITION: Overall craquelure to canvas. 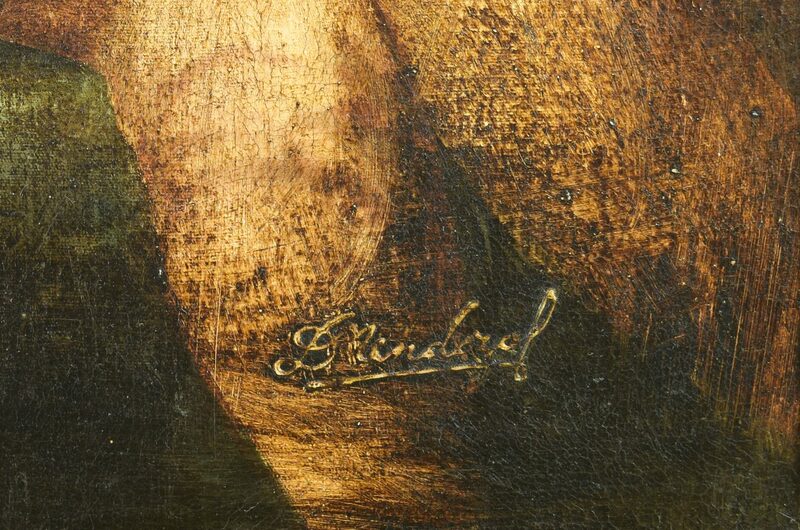 4" area of stretcher marks, top center of canvas.